Estes Park Ice Climbing includes some of the best, and most extreme ascents in the country. Popular ice and mixed climbs are scattered throughout Rocky Mountain National Park. Offers rock climbing, ice climbing, backcountry skiing and mountaineering instruction, classes, and guided outings. Learn the sport of rock climbing at this award winning adventure rock climbing school. Where can I go Ice Climbing? This deep cleft is a mix of rock, casual snow and ice, and a final ascent up a hanging ice curtain. Location: From Rocky Mountain National Park’s Bear Lake Trailhead or Glacier Gorge Trailhead, hike or snowshoe past Loch Lake. Continue towards Glass Lake and Sky Pond. Cathedral Wall is the northwest (right of the trail). Womb with a View is the left of the two deep clefts in Cathedral Wall. Hidden Falls is a classic waterfall climb in Wild Basin, and one of the most popular climbs in Rocky Mountain National Park. Wild Basin also has several other ice and mixed routes. Location: Go south on CO 7. After Meeker Park turn right (west) towards the Wild Basin entrance of Rocky Mountain National Park. From Wild Basin Trailhead, snowshoe, hike, or ski about 1.5 miles in. Hidden Falls is past Copeland Falls, and is on the south side of the creek. Wham Couloir is an ascent up a narrow gully. It sits immediately to the right of the namesake spire on the south face of Otis Peak. Loch Vale area has many impressive ice and mixed climbs, which are rated easy to advanced. Location: From Rocky Mountain National Park’s Bear Lake Trailhead or Glacier Gorge Trailhead, hike or snowshoe past Loch Lake. Approach the south face of Otis Peak and The Wham Couloir. I am looking for a guide. 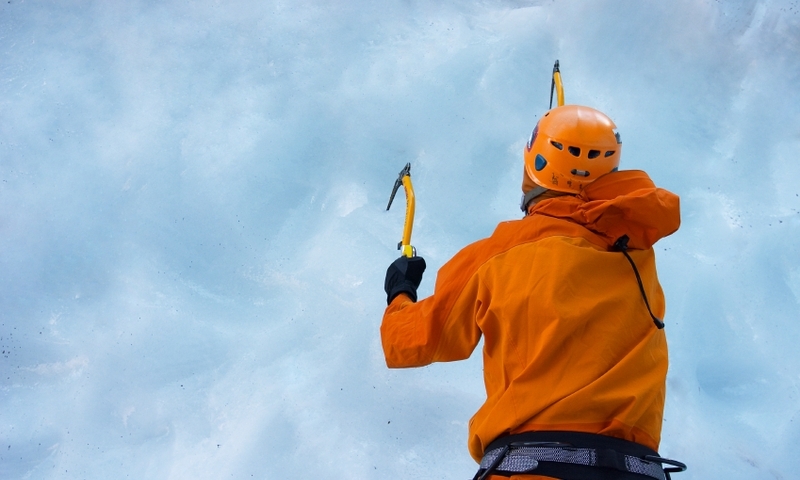 Colorado Mountain School offers Ice Climbing courses for all levels of experience, from introductory to lead climbing. They even offer mixed climbing with both ice and rock. Connect with travelers planning a visit to Estes Park Colorado.